I am going to let you in on a little secret – a fashion secret! I buy a ton of Free People clothing from Savers and I do it all year long. Yeah, I said it! I know that most people think they are getting great deals when they find a 25% off sale at their favorite department store. But I like to take it one step further and buy my favorite brand second hand and it is NOT a one-time occurrence either. I literally find pieces from Free People ALL THE TIME. It’s such a win! More on that in a bit – let me tell you more about Savers and what else they have in store for you and your family. 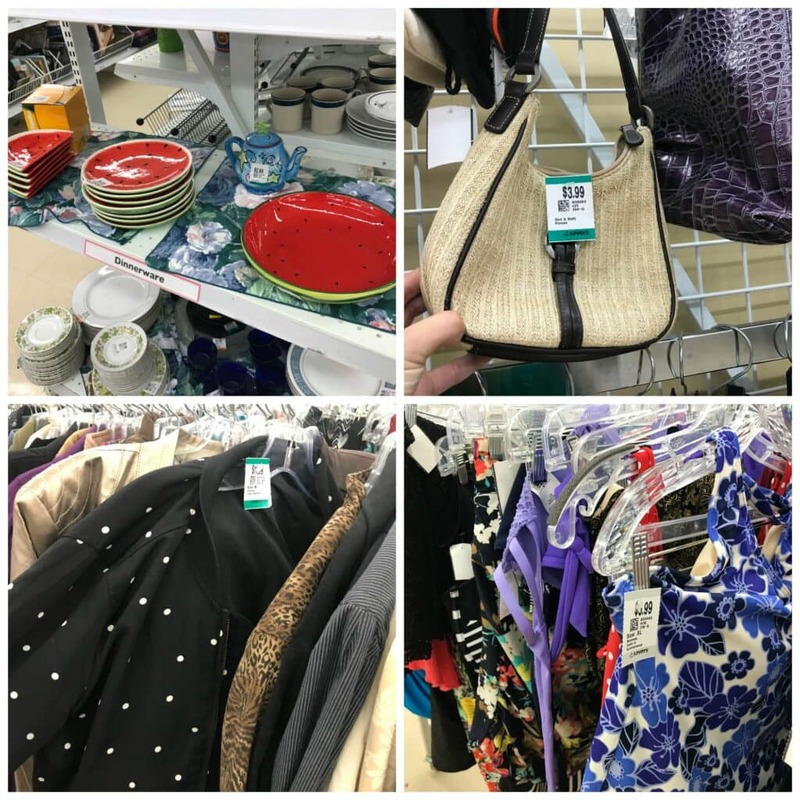 Savers has a few different brands, so depending on where you’re located, you might also know them as Value Village or Unique Thrift. But in my neck of the woods… they are simply Savers. 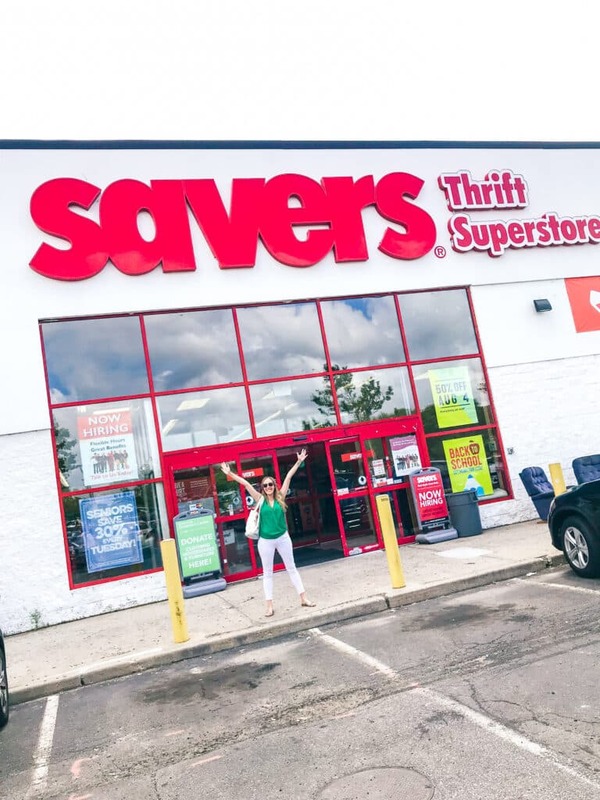 It’s all about the thrill of the hunt with Savers. 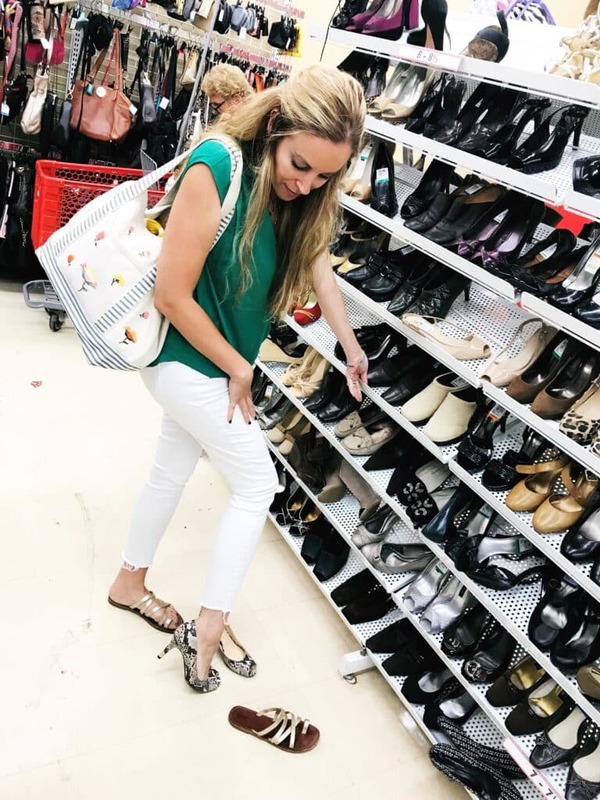 You literally will find something new every single time you visit one of their stores. Their one-of-a-kind finds and treasures are also all marked at bargain prices. Need a new button down shirt for your husband? No problem! They have plenty of name brands to choose from. How about a new sports jersey for your son? Yup – they’ve got those too. 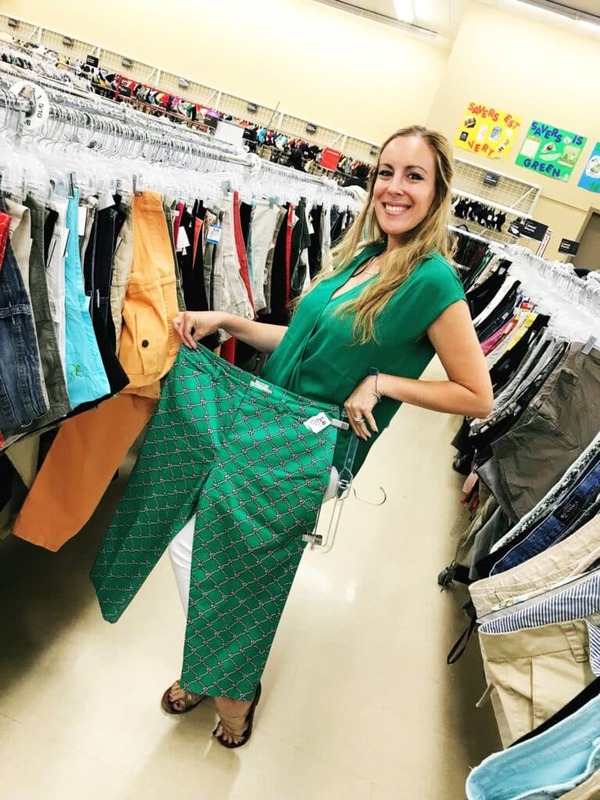 From pajamas, to bathing suits, to winter coats, and this season’s on trend summer patterns, Savers is filled with endless options. And it’s not just about clothing, either! Their aisles are filled with bags, hats, shoes, scarves, and belts. Take this Banana Republic clutch that I scored for $4! YEOW! Or these Michael Kors shoes that I walked away with for just $12. They were hardly worn, too!!! Just my size and the perfect heel. 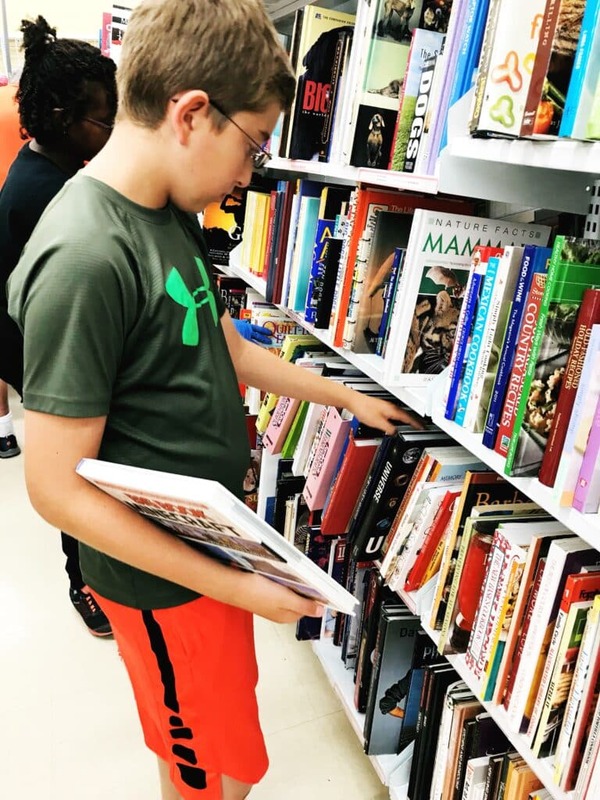 Even your little readers will find something to take home. The books are priced RIGHT. My son brought home a few books related to Minecraft and Roblox (his two favorite games) and each title ran us under $3. What a win! As you can see, Savers makes sure that you are getting the best value for each purchase. I already OWN that Who What Wear jacket – the polka dot one on the bottom left. I love that it was on the rack and for under $12. That’s almost 50% off retail and it was as good as new! Do you like those watermelon plates? I picked up the entire set! Scroll below to see what it looks like in my backyard. Back to Free People! You guys, if you follow me on Instagram, you KNOW that I wear Free People ALL THE TIME. This sweater would run me at least $88 if I bought it brand new in a department store. Guess how much I spent?? $15!!! COME ON!!!!!!!! I fully inspected it and it was perfect. BOOOM! 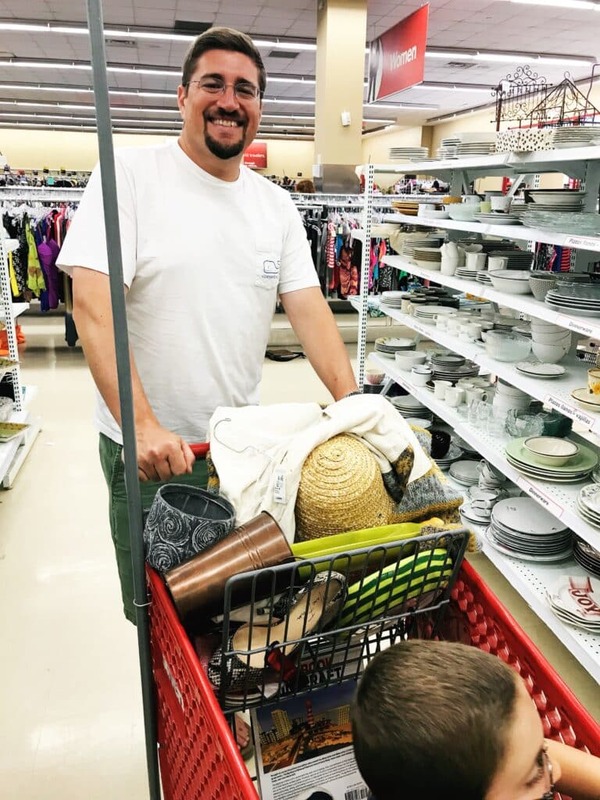 Everyone walked away with something – as we always do – when we visited Savers over the weekend. If you join the Super Savers Club, you can save even more! I am signed up for their newsletter and always get updates about when extra discounts days are taking place. Some days, the entire store is on sale for 50% off. Can you believe it? If you are a senior citizen, you can also receive additional discounts on special days. Sometimes, I take my mom out for lunch and then to Savers just so we can both take advantage of that extra 20% off. LOL! Why not?! That’s what family is for, right? 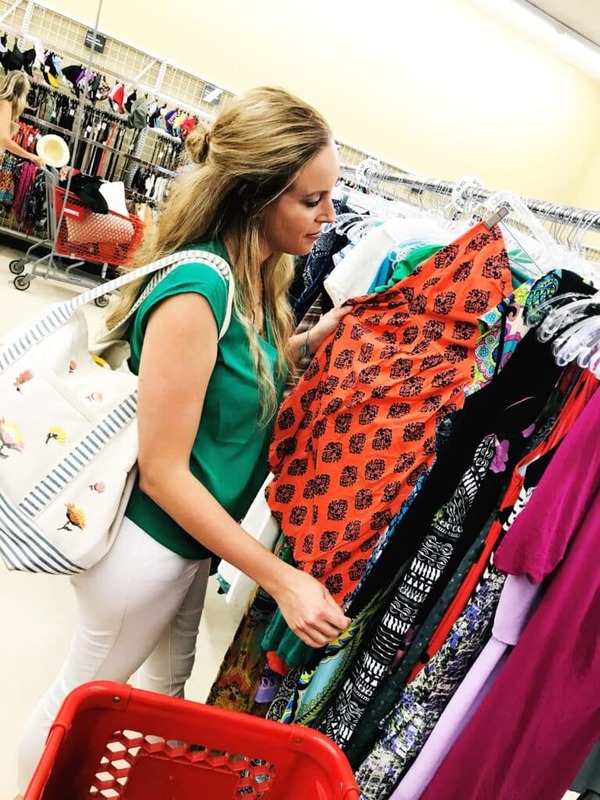 There are over 100,000 items on sale on the Savers floor each day! Take a look at the outfit I put together while shopping over the weekend. A summer hat, a cute pink clutch, easy sandals and a summer dress that will work just about anywhere. Win- Win – Win!! Are you ready to try to win a $50 gift card? Comment below what you would use the gift card on for a chance to win. This contest will run for one week. Open to US residents, 18 years and older. I have absolutely been LOVING thrift shopping! 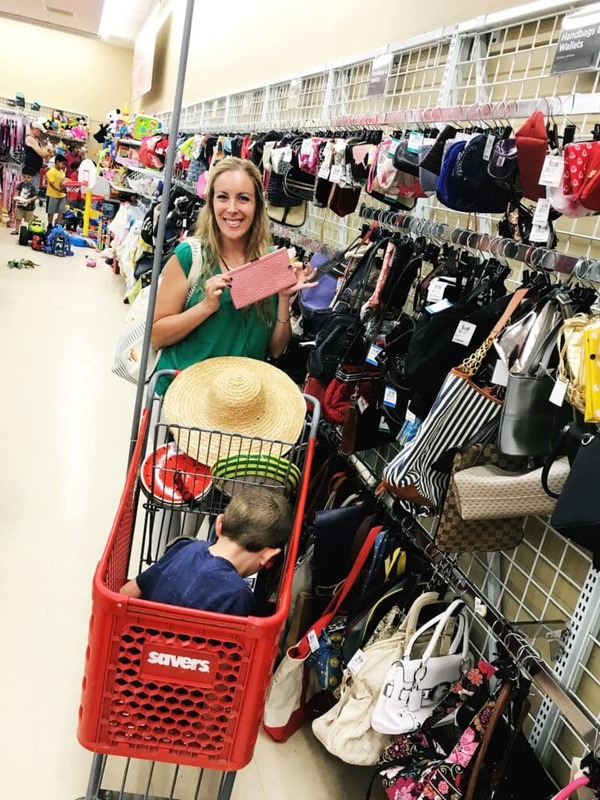 🙂 Savers and Salvation Army are my fav stores to shop – I would definitely use this for back to school shopping! I can’t believe you found Free People – that is such a steal!!!! Savers is my absolute favorite store! I love the thrill of what you will find, I go weekly! I would use it to buy some toys for my sons! 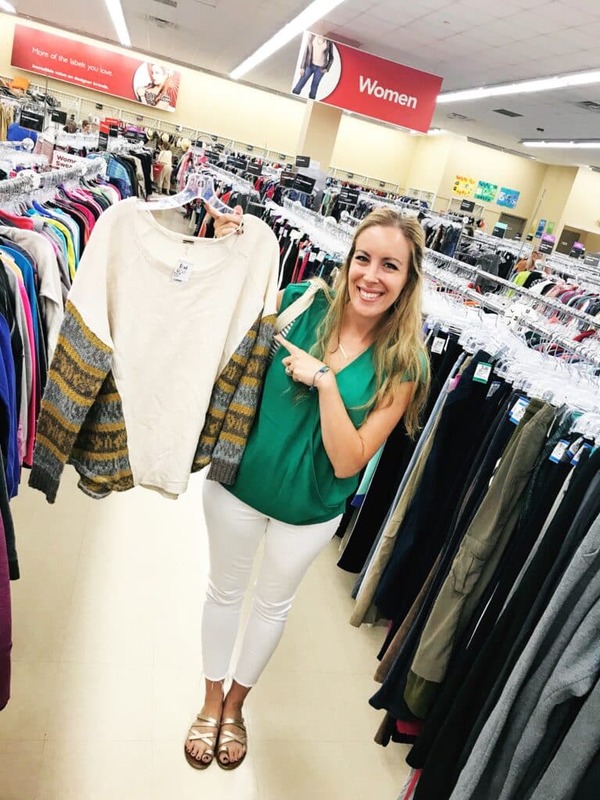 I’m a Thrift Shop Queen, and Savers is my home away from home! Lol! If I win, I’ll use it to buy some “new” clothes at Savers. I would use it for some winter/fall wardrobe. I can’t believe the great deals you found. I would spend it on back to school shopping for my three boys. My oldest is 13 and is already taller than me; which at 5’2 isn’t hard to do, but he is outgrowing his pants and shoes and it’s hard to catch up. If I won this gift card, I would head straight to the jeans section to pick out a few pairs for him. Otherwise, he may look like’s waiting for a flood with how much he’s grown since wearing last year’s jeans! Help a momma out. Lol. Thanks for hosting a great giveaway! I would use the gift card on jeans. I would probably spend it on my new grandbaby due in 6 weeks! I would use it on new to me clothes (that fit) after my son is born this fall! We too make routine outings on Tuesdays -shopping and lunch- to take advantage of the senior discount. I would use the prize to buy more back-to-school clothes for my grandkids. I would use the gift card to buy some tops for work and some warmer tops for running in the fall. I would give this to my friends as a housewarming gift. Kids clothes and clothes for the family. I would let my daughter use it to buy her some things. She always needs clothing but what female doesn’t. Has a winner been chosen yet? What a great giveaway!